4. Select view on the enterprise to see the groups associated with the enterprise. Select view on the group. 5. 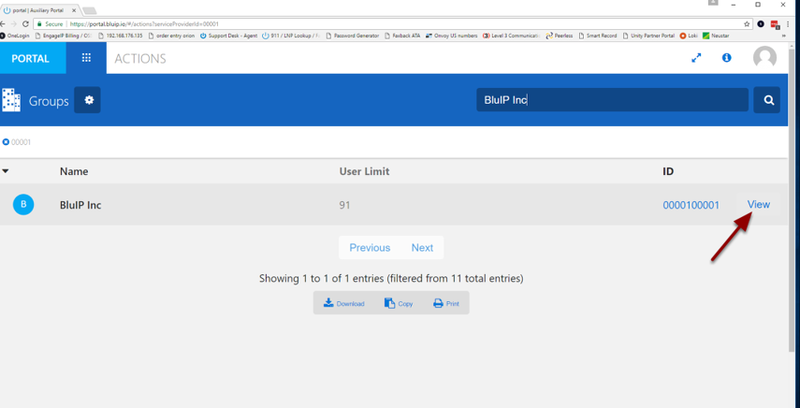 Search for the user and select view. 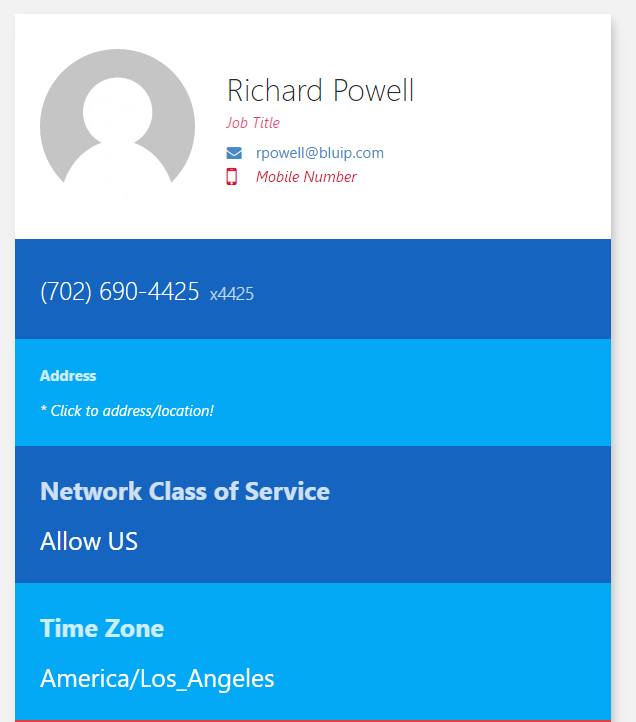 You can search by name, phone number, or Broadsoft User ID. 6. 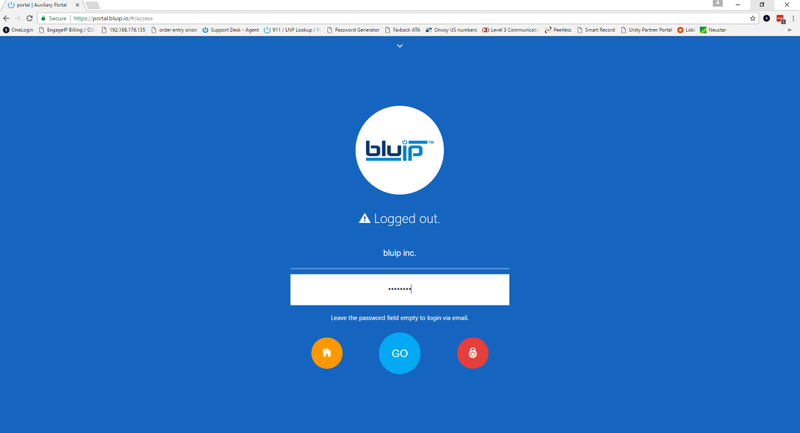 Here is information on the user. You can select the x at the top left to go back to the group or enterprise level. You can select the magnifying glass on the right to search for another user in the enterprise by Broadsoft user ID. 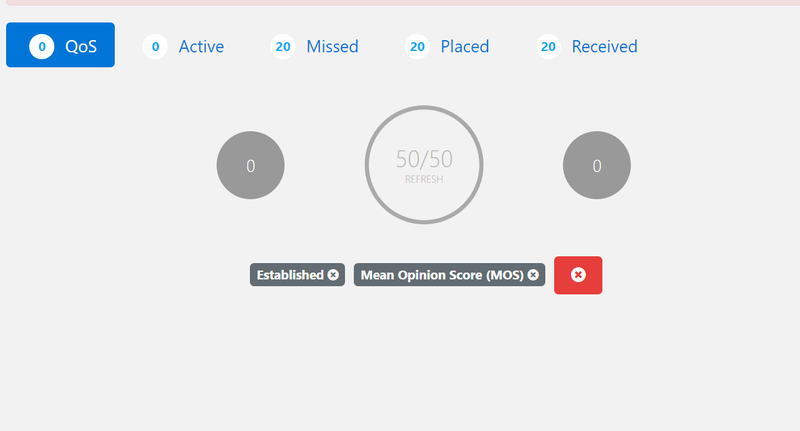 Call details are available along with QoS stats from Palladium. 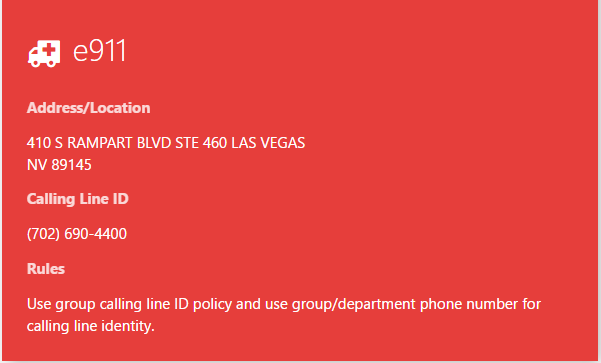 You can view the users E911 information. 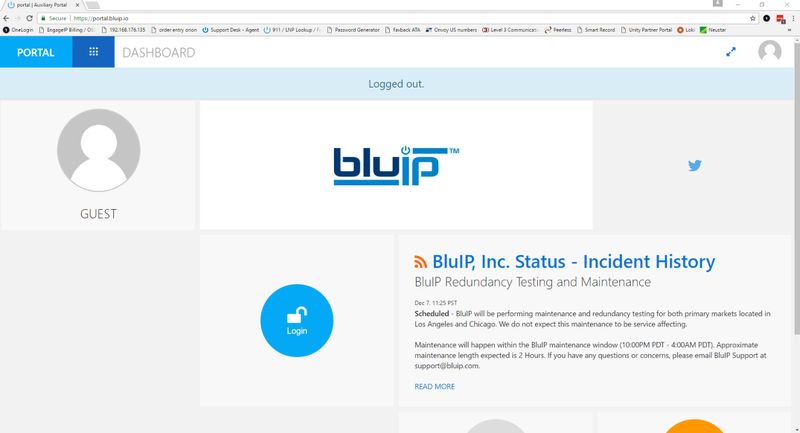 If updates are needed please send an email to provisioning@bluip.com with the updated information. 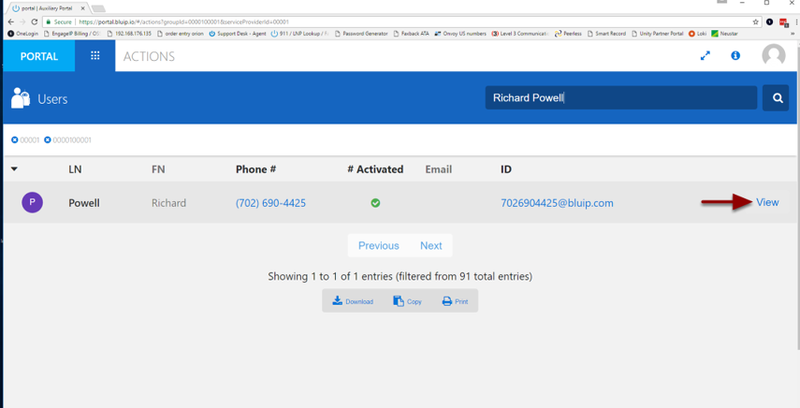 If a call is active you can select drop calls to disconnect the call. 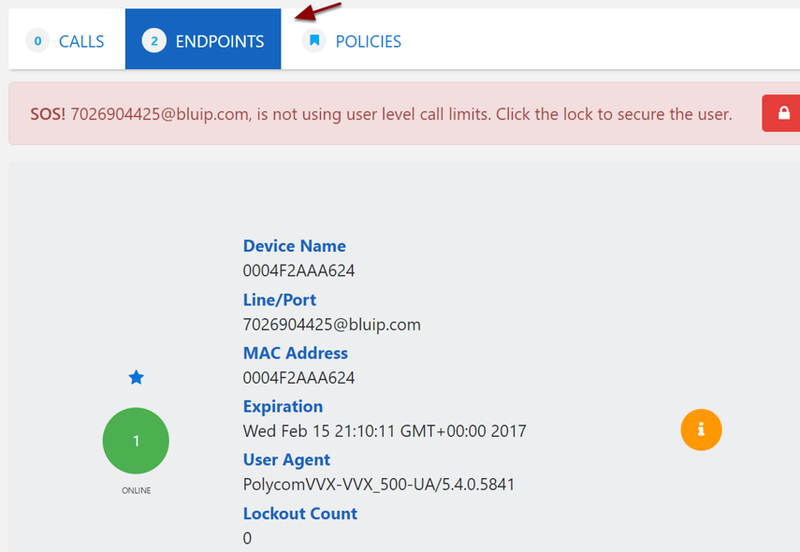 You can view the user's device information by selecting endpoints. 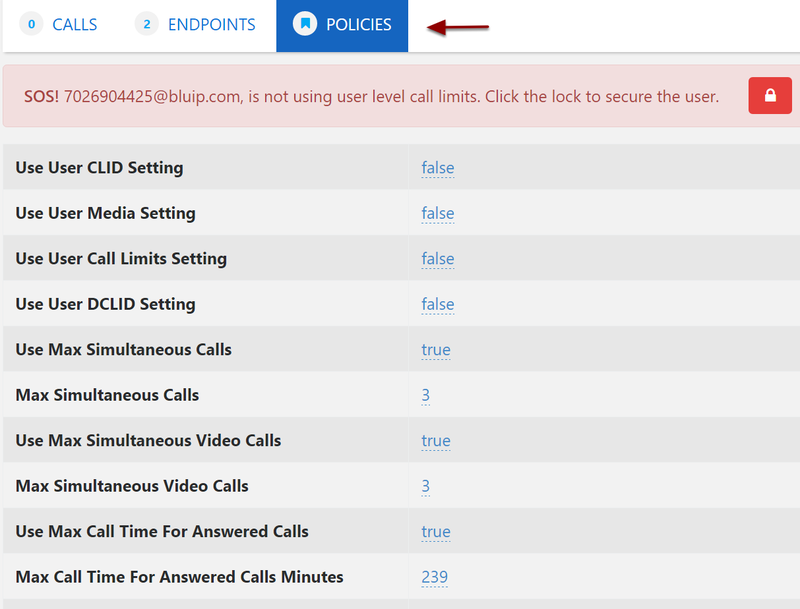 You can view and update the call processing policy set in Broadsoft by selecting policies.